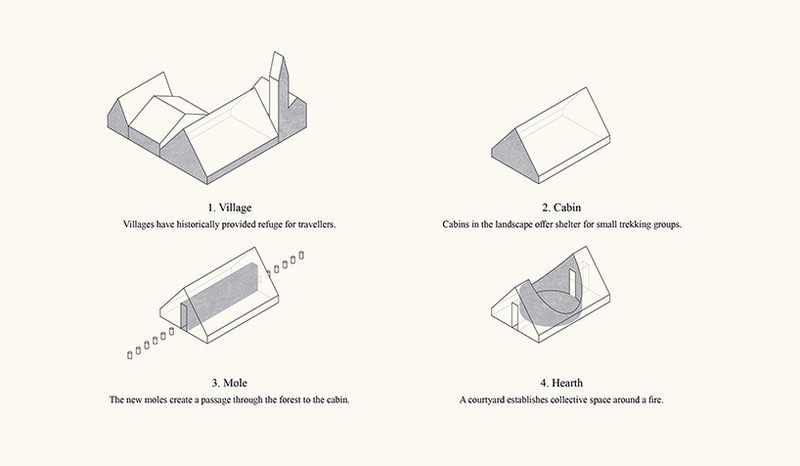 danish architectural firm, white arkitekter, proposes a series of structural ‘moles’ guiding travellers on the latvian coast seeking refuge. 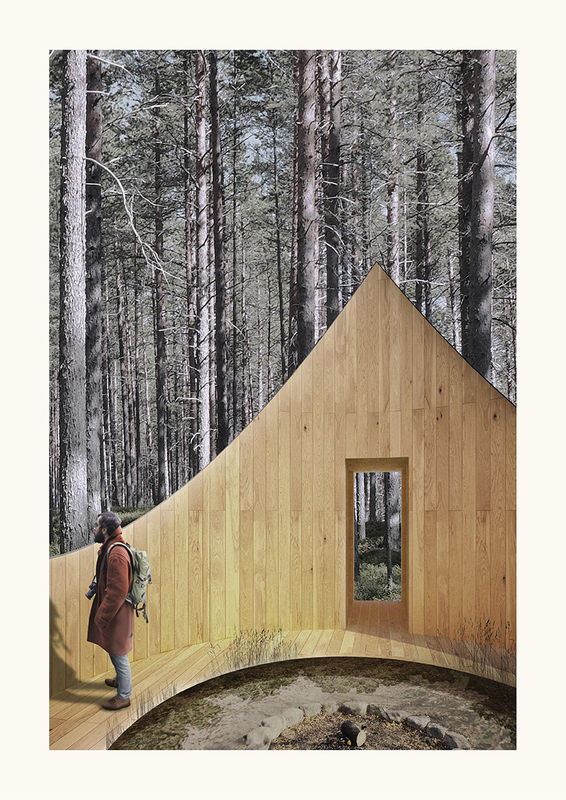 the network is part of a proposal and award-winner of the beebreeders amber road trekking cabin competition which called for the design of a building for travelers along the amber roat trekking route. the structures are meant to provide shelter from wind, snow, rain, cold, and mosquitos, deferring trekkers to the dramatic forest and beach landscape along the route. 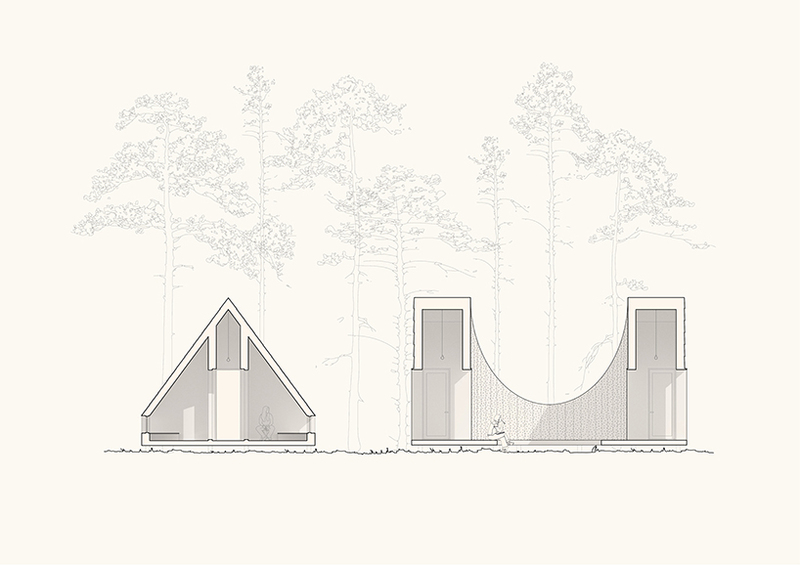 white arkitekter took inspiration from the wooden moles in the area which were used historically along the latvian coast for both recreation and preservation. these points provided swimming platforms, prevented coastal erosion, and help with wayfinding, by marking the location of villages. 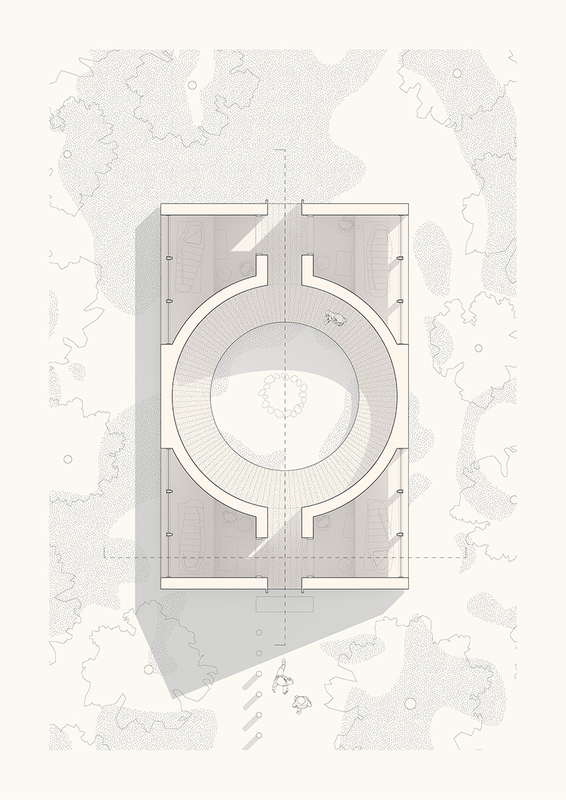 inspired by this local tradition, white’s proposal establishes a reciprocal series of moles that connect the beach to inland environmental attractions and access points. 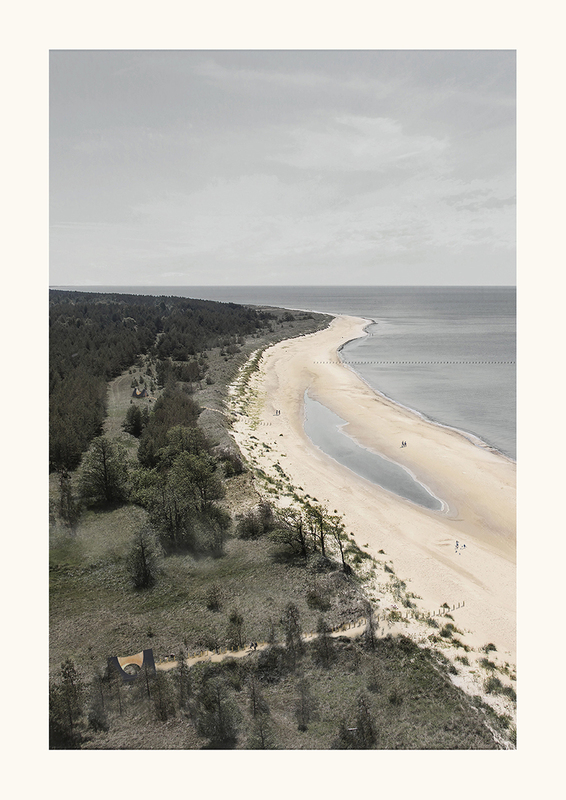 while the traditional moles connect and preserve the beach and ocean, these new moles will carve narrow passages through the forest. but instead of identifying existing towns like today’s moles, the proposed mole network will mark the location of trekking cabins. 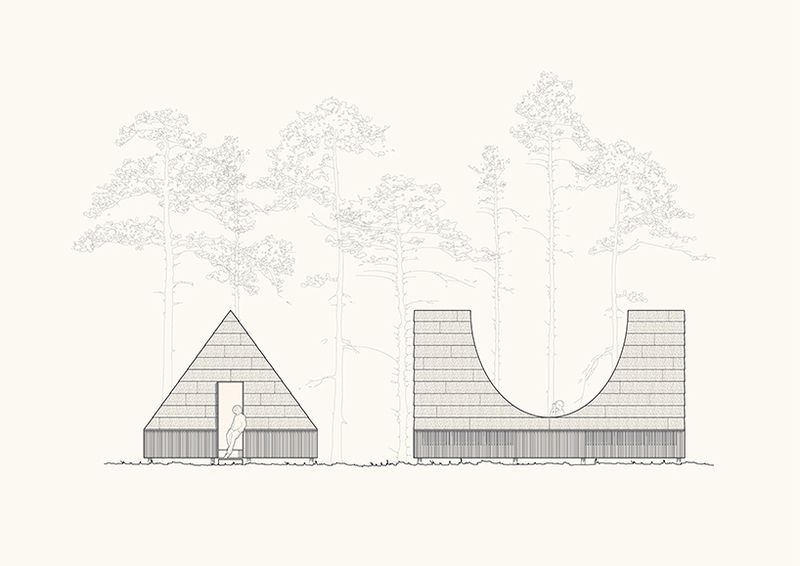 these cabins were designed to provide shelter within a timber envelope that pays homage to traditional latvian carpentry. 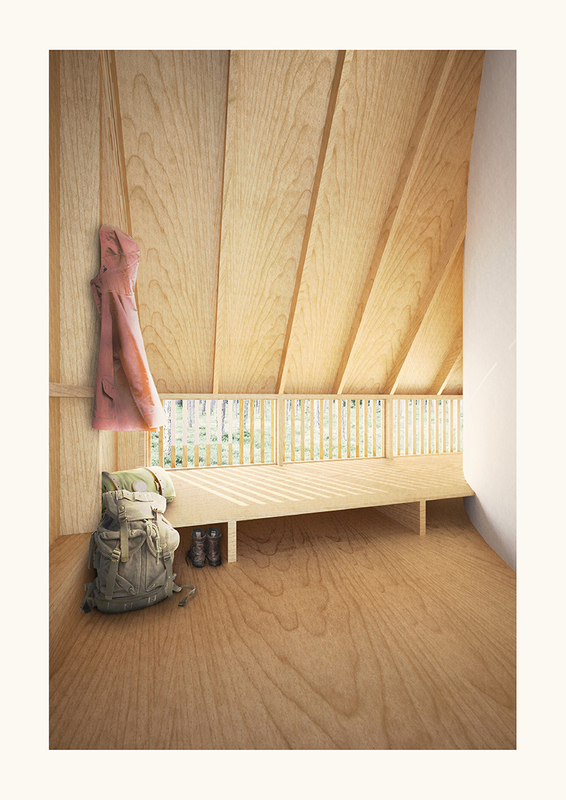 the construction is simply framed, and modern wood products help reduce waste and ensure that the building will develop a natural patina over time. an outdoor room in the middle of the shelter functions as the archetypal hearth, where trekkers can gather together around the fire to share stories, food, and experiences. around the communal space, four individual sleeping rooms offer privacy and solitude. around the communal space, four individual sleeping rooms offer privacy and solitude. each is naturally ventilated, with views to the forest, and the timber interior is a warm contrast to the wilderness outside. 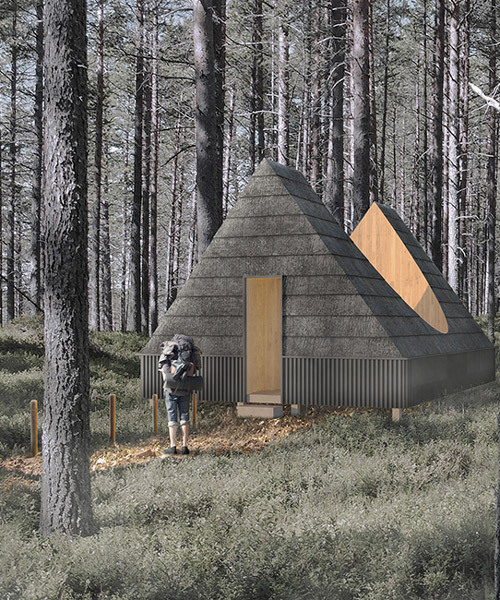 like trail blazes that help to guide trekkers and hikers around the world, this project hopes to sustainably orient visitors to the latvian landscape. 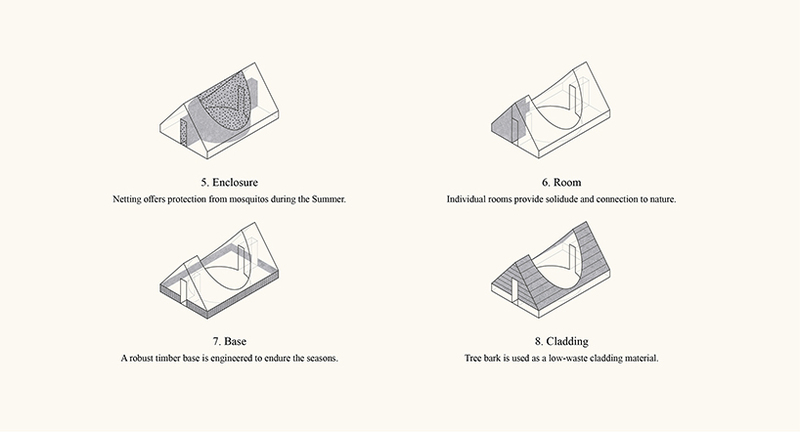 access to nature is at the forefront of the studio’s proposal, feeling that it is their responsibility as residents, tourists, architects, and trekkers to conserve that natural environment for future generations.